Considering buying a robot vacuum cleaner but disappointed by the prices of expensive models such as Neato or Roomba? If so, then ILIFE A4 could be a great choice since it provides satisfactory power with a cheaper price. ILIFE is a Chinese company which was founded in 2007. Its main focus has been on producing quality robotic vacuums, developing them from software, hardware and ID design by its own. Many robot vacuum technologies have been patented by ILIFE as well, making it one of the leading enterprises in China in this category. 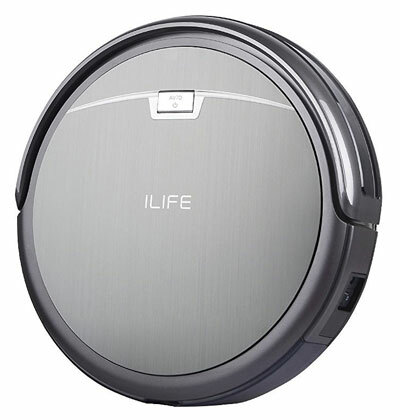 Very similar to almost all other robot vacuums, ILIFE A4 is a round-shaped cleaner. It has a 2600mAh battery which means it could clean for about 2 hours continuously. 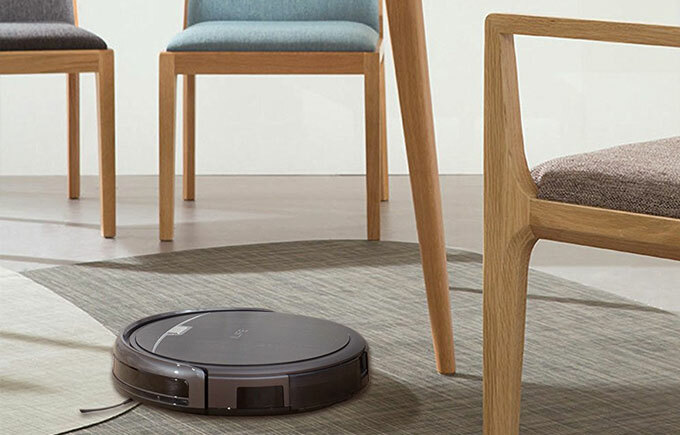 In comparison to more advanced (and also more expensive) models in the market, such as Neato Botvacs, Dyson Eye 360 or Roomba 880/980, this robotic vacuum is less powerful. However, if the price is a more important factor, ILIFE A4 is a very good choice for average user. So, the suction power of this vacuum cleaner is very good considering the low-sound motor and the air intake which is medium sized. The vacuum could keep up with daily dirt and mess using working time presets. In order to not fall off stairs and other heights (such as kitchen countertops) this ILIFE robot comes with lots of cliff sensors. Getting stuck isn’t an issue either, due to the front wheel equipped with infrared sensor. Users could be sure that this smart cleaner is always ready to work. That’s because it docks and recharges automatically. A long cleaning time is provided by this ILIFE product since it takes use of li-ion battery cells which are high performance and high quality. Debris is easily picked up by bristle brush. Also, when cleaning carpet, it is very efficient. 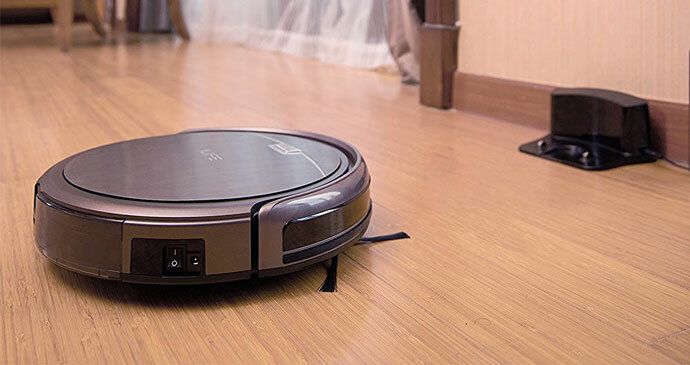 A durable robot vacuum life and less working noise are offered since advanced motor has been used in this product. Dust traffic areas might need more cleaning effort. But that’s not a problem since an enhanced powerful cleaning could be expected from the robot when ‘MAX’ mode is activated. The manufacturer advises that every month, a new HEPA filter should be replaced. Also, according to ILIFE, after each use, HEPA filter bristle filter should be cleaned and the dust box ought to be emptied. The motion link and connectors of the bristle brush should be regularly cleaned in order to avoid noise or clog and to keep peak performance. Many online stores and retailers have listed ILIFE A4 for sale with slightly different prices. At Amazon, buyers could get the robot vacuum for $169.99. Currently, a discounted price of $135.39 could be found at GearBest. Apparently the only color of this product at this time is titanium gray. Users could expect these items along with the vacuum cleaner once it’s shipped to them: extra side brush, extra sweeping pad, extra pair of filters, cleaning brush and remote control with batteries. Another great thing about ILIFE vacuums is that users could find robot vacuum accessories and replacement parts on the market. For instance, searching Amazon for ‘ILIFE’, the results would include products like charging dock stations, li-ion battery packs and replacement remote controls.